This story is about the sides: the greens, cheesy macaroni, cornbread, spicy sauce. On the heels of a national election that threw down a gauntlet, Portland’s musical artists are responding with music more ecstatically political than anything we’ve ever heard. Long at the forefront of local protests, PDX musicians say they’re increasingly putting adrenaline on paper, taking the bullhorn to the studio. The trend reverberates across scenes and cultures. Emcees Mic Capes, Glenn Waco, a leader at Don’t Shoot Portland rallies, and Rasheed Jamal formed the Resistance in 2011—long before the post-Trump Portland’s Resistance protest movement hit local headlines. Emcees Mic Capes, Glenn Waco (a leader at Don’t Shoot Portland rallies) and Rasheed Jamal formed The Resistance in 2011—long before the post-Trump Portland’s Resistance protest movement hit local headlines. Read the whole story in Issue #11 of Vortex Magazine, at select locations in Portland. 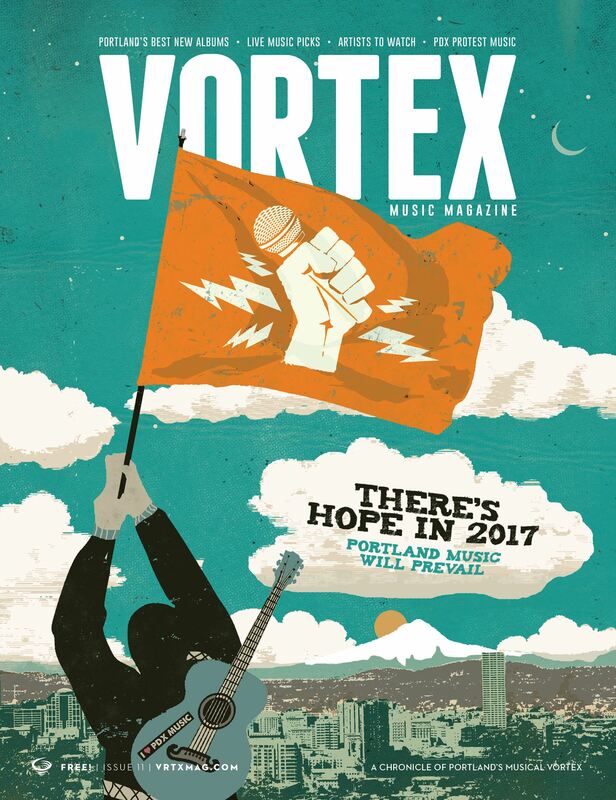 Or get Vortex delivered to your door with a pay-what-you-want subscription.